Potassium is a major mineral as well as an electrolyte, which means that it carries an electrical charge. The positive charge of potassium ensures that potassium is able to perform all of its necessary functions in your body. Every fluid in your body contains potassium, but 95 percent of the potassium in your body is located inside of your cells. One of the most important functions of potassium is its role in muscle contraction. Potassium ensures that all of your muscles, including your heart, are able to contract and relax properly. If the amount of potassium in your body does not remain constant, it can result in irregular heartbeat and possibly lead to a heart attack. The electrical charge of potassium also creates action potentials that send nerve impulses throughout your body. The presence of potassium in your body helps to control the balance of fluid in your cells and in your blood. Potassium also works with another electrolyte, called bicarbonate, to maintain the pH of your blood and acid-base balance in your body. Potassium helps regulate the amounts of the minerals calcium and phosphorus in your blood and prevents your bones and kidneys from excreting too much of these minerals. Because of this regulation, potassium ensures that your bones stay dense and strong. 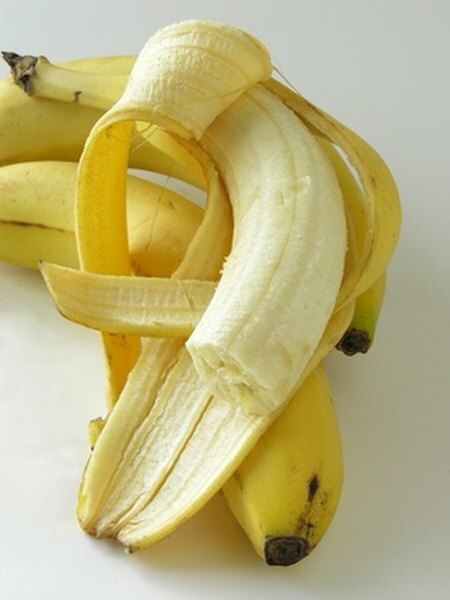 Potassium helps the body excrete a substance called citrate. If the body contains too much citrate, it can bind with calcium and form calcium citrate kidney stones. Because potassium helps excrete citrate, it can lower your risk of developing kidney stones. To ensure that potassium can perform its functions in your body, it is important to consume enough potassium on a daily basis. Both male and female adults should aim to consume 4,700 milligrams of potassium every day. “Nutrition and You” by Joan Salge Blake notes that most adults fall short of their daily needs. On average, adult women consume between 2,200 and 2,500 milligrams of potassium and adult men consume 3,300 to 3,400 milligrams per day. The best food sources of potassium include bananas, potatoes, prune juice, plums, oranges, orange juice, tomatoes, tomato juice, lima beans, acorn squash, spinach, sunflower seeds and almonds.